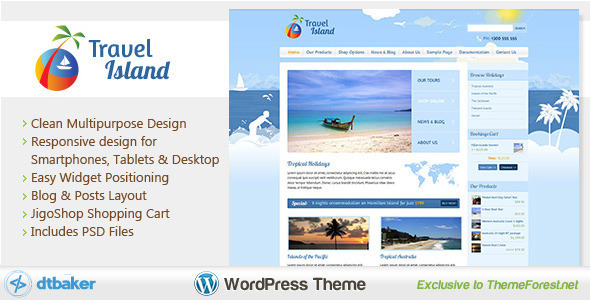 Travel Island is a Premium WordPress e-Commerce theme that is easy to setup and comes with a great bunch of features. 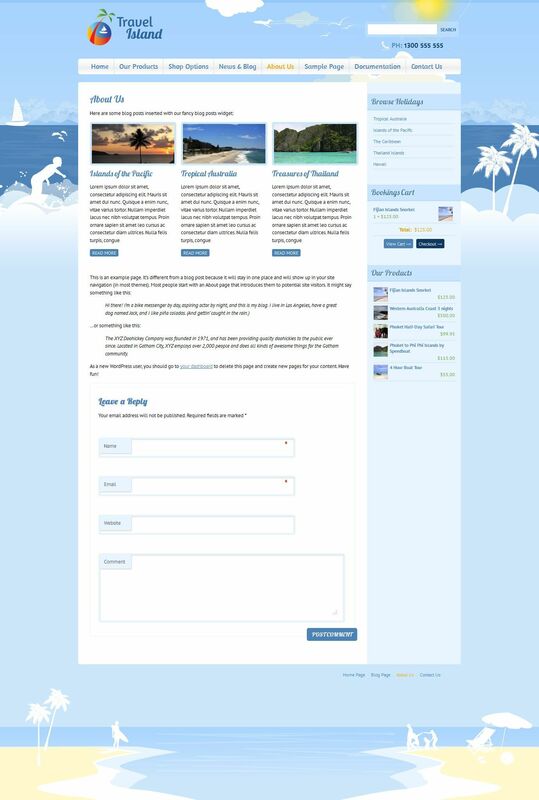 Perfect for a holiday, travel information, hotel, accommodation, surfing or destination themed website. 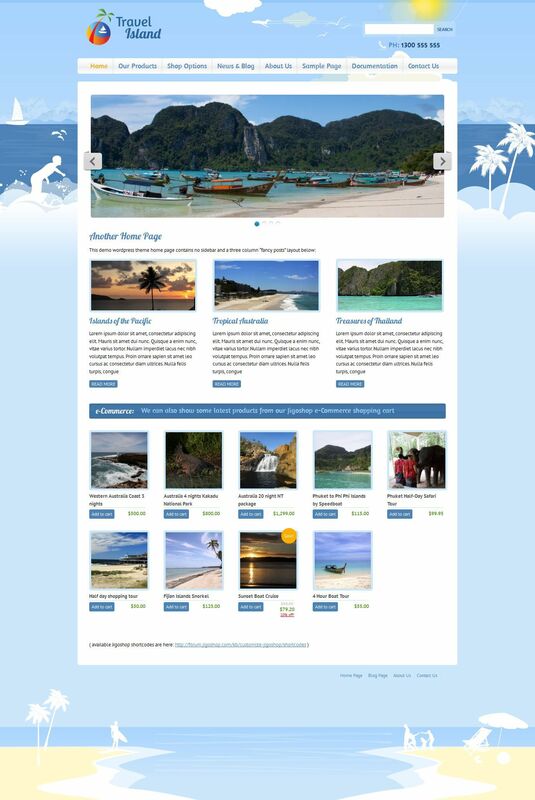 Travel Island can be used with the professional WooCommerce e-Commerce system for online sales (optional). 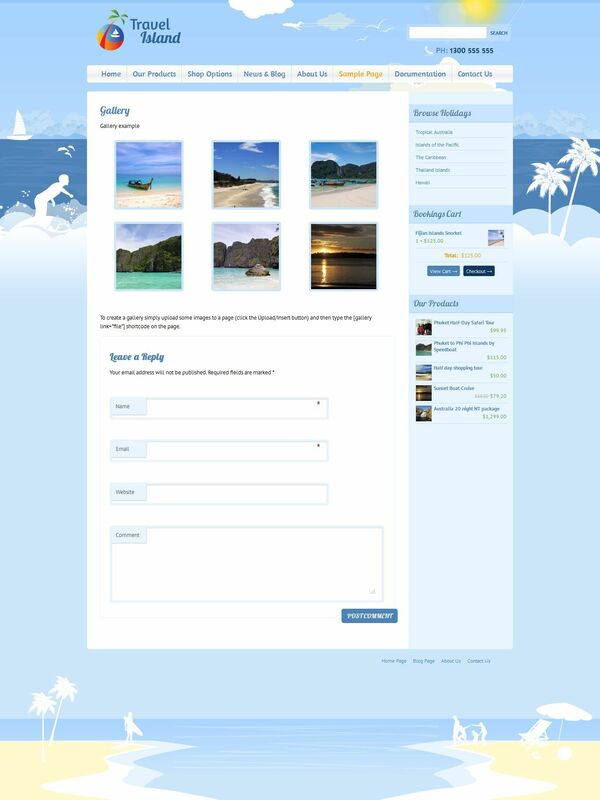 Travel island can automatically adapt depending on where users are viewing your WordPress website. Watch this short 3 minute video showing how to install Travel Island and get up and running like the live demo. 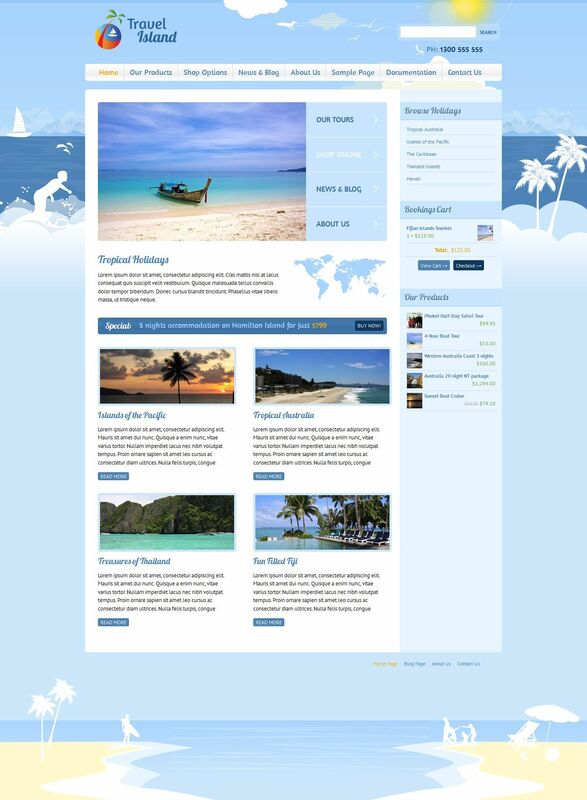 Full documentation for this theme is available by clicking here: Travel Island WP Theme Documentation – you can also view a short screencast that shows how to set this theme up so it looks like the demo. 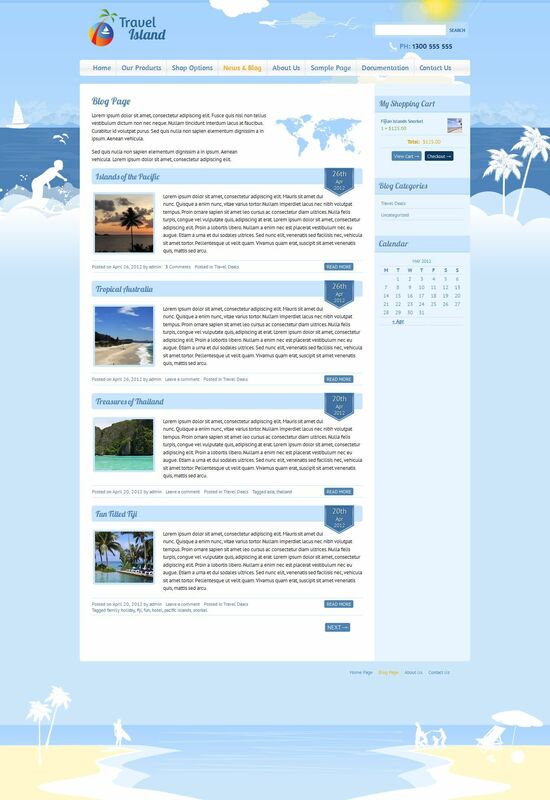 This theme comes with a unique and easy to use Sidebar Manager. Easily control if sidebars appear on the left or right of your pages, or hide them all together. Simply navigate to the page you wish to change (eg: the home page) and change the option from the top admin bar. 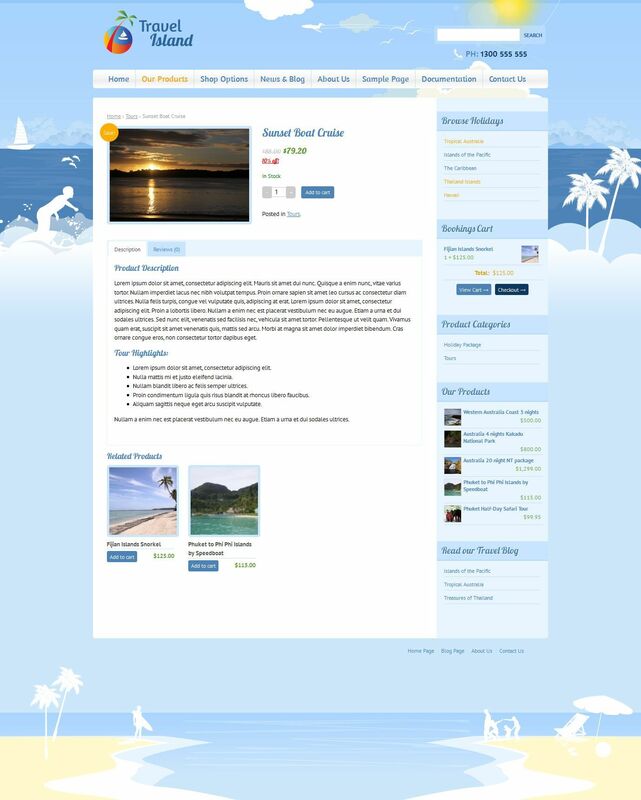 You can even choose which sidebar to display on individual pages. A great feature for getting that unique looking website. Hot off the press is this brand new Google My Tracks Map Plugin. 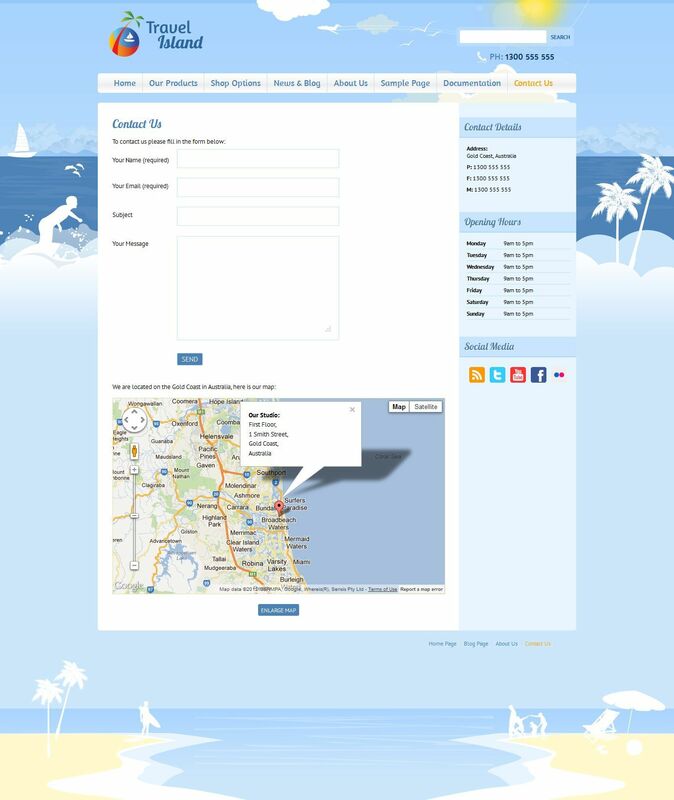 Import your existing KML/KMZ map files into WordPress to create your own log of recommended walks, tours or destinations. Please note: this is a seriously hot plugin, version 1 was only finished a few days ago so there are lots of improvements and fixes to be added. I just wanted to get this out to you as quickly as possible! Stay tuned for updates. If you are planning to sell products via your new website, we recommend using WooCommerce (details below). WooCommerce is a free addition to any WordPress website. This theme comes with a bonus WooCommerce Facebook feature. IMPORTANT: Your website needs SSL in order for this to work, check that https://yourwebsite.com works. 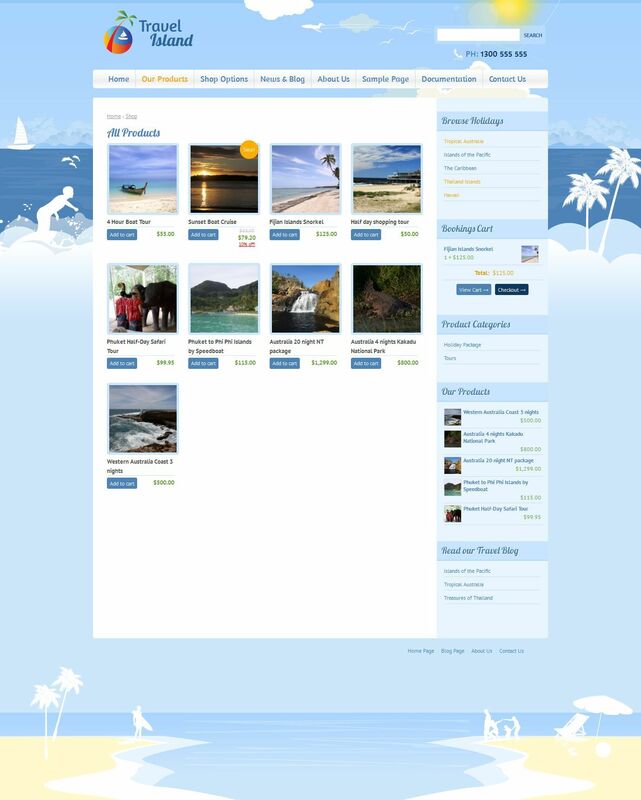 When users click on this icon they are taken to a special shop page showing all your products. Users can add products to their cart directly from Facebook and then checkout via your website. 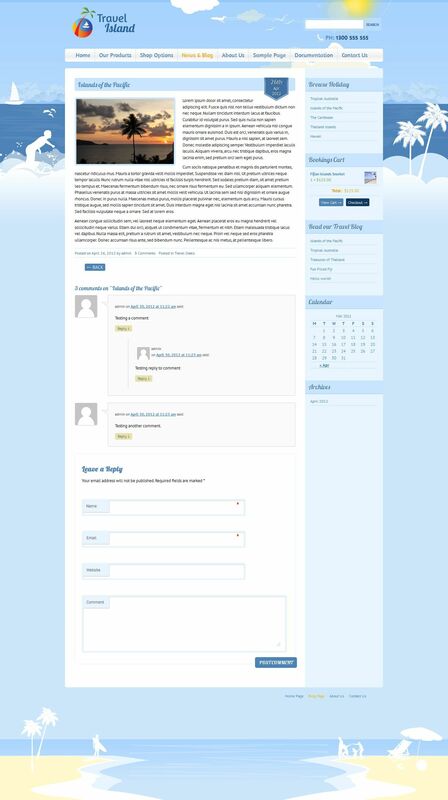 We hope you enjoy this template, we had a great time making it. Thanks!